Episode 2: Gratitude Attitude -- Chase away your frown! Turn it upside down, and bring the joy of praise into your heart with this entertaining video! Gratitude is a great attitude! And this "Cherub Wings" episode shows us how to bring sunshine to dreary days. Children will learn that God wants us to be thankful in all things. Fullscreen. 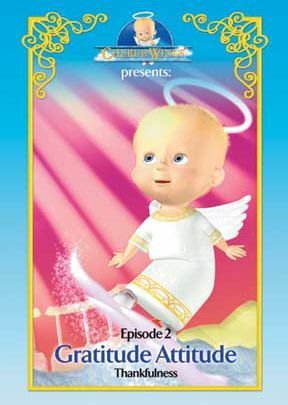 This second episode in the Cherub Wings series will delight the youngest viewers. Cheery segments with prayers, songs, Jesus stories, and lessons (each of no more than five minutes in length) are presented in a mix of animation and live action. A tiny angel plays host and reinforces the message that we should be grateful to God for our wonderful world. 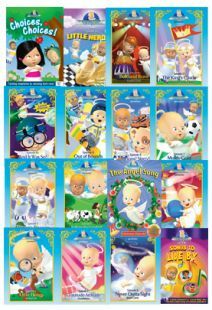 Some other titles in this series: Little Things, The Angel Song, Never Outta Sight, Bold and Brave. Viewers can choose English or Spanish language track subtitles. 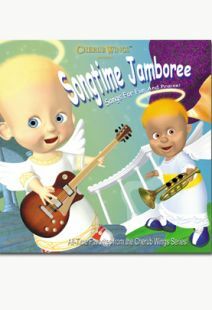 Recommended for church libraries, child care and Sunday schools. 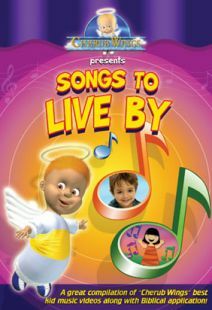 This was by far one the best children's programs I have ever put my child in front of. It teaches such a wide variety of topics and captured the imagination of even my little 1 year old! Keep up the good work. God bless!